Renting these otherwise short-lived items of clothing makes sense from a resource perspective and offers cost-savings. 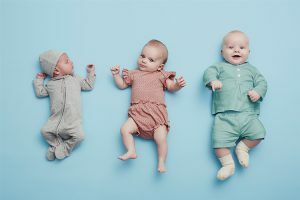 Danish maternity and baby clothing company Vigga offers access to their clothes through a rental system. This business model is less wasteful in terms of resources as multiple customers reuse these otherwise short-lived items of clothing. Customers also benefit, since they do not have the up-front cost of investing in clothing they only use a short while. Instead, they pay a subscription fee that totals as less than buying the clothes new from a high-street fast-fashion brand. To implement their solution, Vigga had to work with suppliers to ensure access to high-grade, long-lasting as well as organic materials with a time-less look. Vigga is currently growing, offering increased flexibility in rentals, expanding its product range and its rental platform.